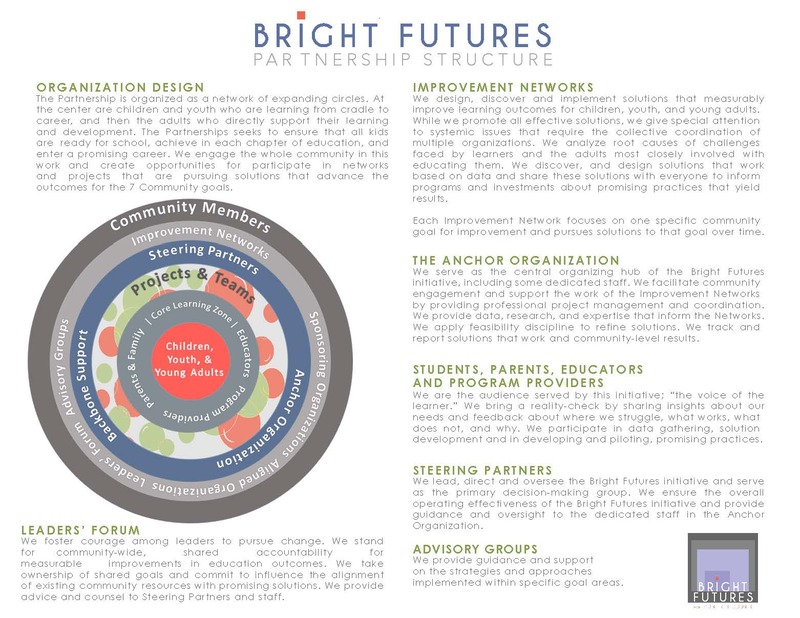 The Bright Futures Education Partnership complements the many local and regional programs and investments already involved in improving student success. The niche for Bright Futures is to serve as a convener around raised expectations, a hub of innovation and a connector of thought leadership from multiple perspectives throughout the cradle to career continuum. Our partnership fosters the development of more solutions, add systemic solutions to the mix, and serve as a broker of a continuously growing portfolio of solutions that work.